When you think of daylilies, what do you see? 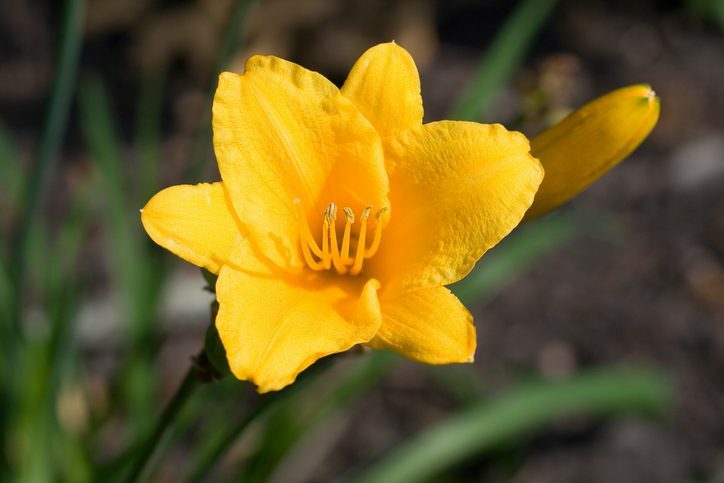 If you’re picturing a yellow daylily, the chances are pretty good that you’re thinking of the Stella d’Oro variety. These bright yellow dwarf daylilies are a common sight in the Rock Hill, SC area. You’ll spot them in many residential and commercial landscapes, as well as in medians for roadside landscaping. There’s a good reason so many people choose to plant these beautiful flowers: They require no maintenance and will bloom twice during the summer. Stella d’Oro, like other daylilies, grows from a bulb. When you buy from us, you’ll get a plant that’s ready to go in the ground and produce beautiful blooms all summer long. Expect to see lots of butterflies attracted to the fragrant flowers! Plant in full sun or half sun/half shade for best results. They also grow well in containers. Visit Rolling Hills Nursery & Landscaping in Rock Hill, SC to get yours today!